It's easy to buy a new car online and with this year's batch of small/compact cars, you have plenty to choose from. What follows is a list of ten cars from some of the biggest brands in the domestic and foreign automotive industry. For a more luxurious spin on the affordable small car segment, take a look at the Audi S3, priced to start at $41,995. Equipped with a 2.0-liter turbo four cylinder, generating 292 horsepower, the Audi S3 zips from zero to sixty miles per hour in 4.4 seconds and gets 23 city and 31 highways miles per gallon. Incredibly light, thanks to its aluminum hood and front fenders, this car perches on 18-inch wheels wrapped in performance tires. 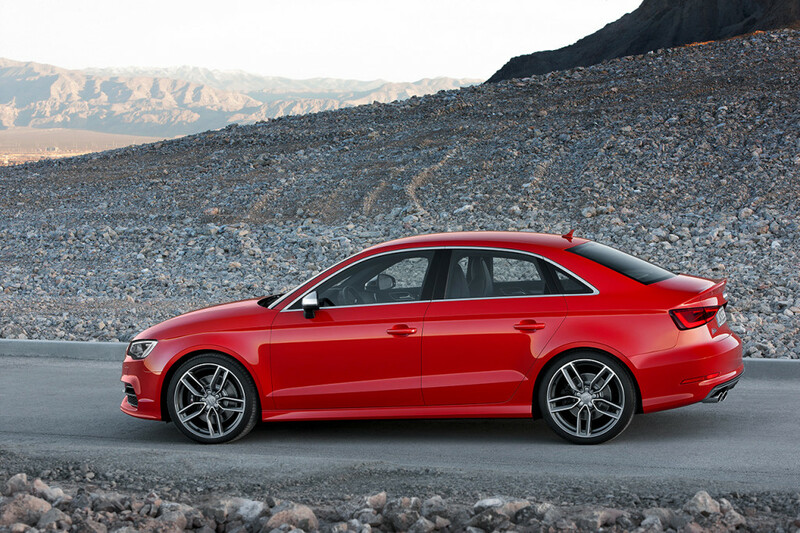 With an all-wheel drive paired to a six-speed automatic transmission, the S3 outperforms and overpowers the Audi A3. A long time favorite and best seller from Ford, the Focus is a stylish small sedan, operated by the standard 2.0-liter four cylinder engine, generating 160 horsepower, able to reach top speeds of 121 miles per hour. Also available is a turbo three-cylinder engine with automatic start-stop technology for enhanced efficiency. Transmission options come from a five-speed manual transmission or the six-speed dual clutch automatic transmission. With either option, the Ford Focus zips from zero to sixty in just under eight seconds and starts at the MSRP of $18,045, with fuel efficiency ranked at 26/36 mpg. For a smaller car, actually the smallest from the Ford family, check out the Fiesta hatchback. A smaller size, in this case, comes with a smaller sticker as the Fiesta costs just under $16,000. Operated by a standard four-cylinder engine, producing 120 horsepower, the Fiesta also comes available with a turbo-charged three-cylinder, which gets a power boost from three extra horses. Both engines are operated by a standard five-speed manual, but can be driven with the available six-speed automatic transmission. Impressive fuel economy is EPA-estimated at 31 city and 43 highway miles per gallon. The Fiesta can move at top speeds of 120 miles per hour and goes from zero to sixty in 8.7 seconds. 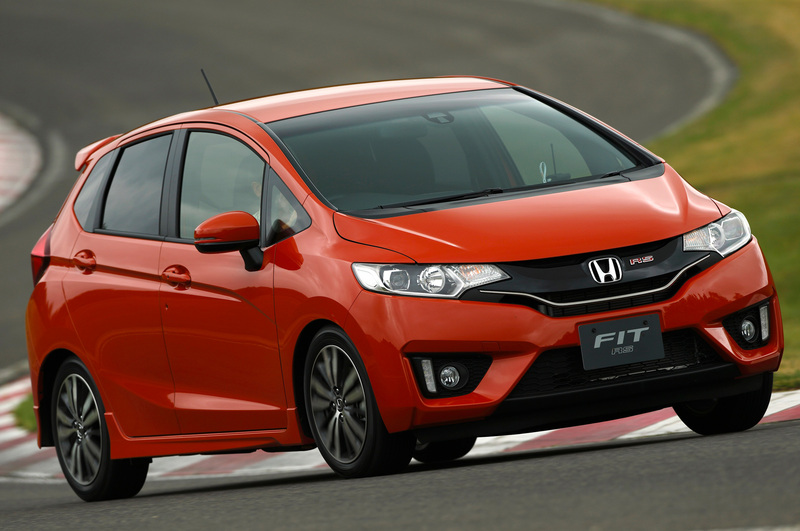 Take a spin in the Honda Fit and see why it's such a celebrated and capable compact car. Equipped with a 1.5-liter four cylinder engine, producing 130 horsepower, the six-speed manual transmission comes standard but a continuously variable transmission (CVT) is available. With plenty of rear-seat legroom, the Fit is delightfully comfortable with an impressive cargo space that measures a total of 53 cubic feet, thanks to the flat-folding rear seats. Actually ranked number one in the subcompact class by Car and Driver, the Honda Fit boasts 29/37 miles per gallon and reaches top speeds of 118 miles per hour. Pretty zippy for such a small package. With its unmistakable looks, the Kia Soul sports a bold and confident exterior to match its tech-savvy interior design. From the base trim level, expect a 1.6-liter four-cylinder engine, with 130 horsepower, paired to a choice of six-speed manual or six-speed automatic transmissions. Or, move up the model line and opt for the 2.0-liter four-cylinder, whose power boosts to 164, operated by the automatic. Competitively priced at $16,015, the Kia Soul's fuel economy is rated at 23/31 miles per gallon. Bright exterior color choices include: Alien II, Caribbean Blue, Inferno Red, and Solar Yellow, while more conservative shades are found in colors like Cloud, Titanium Gray, and Latte Brown. This is a stunning car, considering the compact class is often conservative when it comes to looks. Earning Car and Driver's number one spot for the compact crew, the Mazda Mazda 3 comes in two body styles: sedan or hatchback. Standard equipment on the Mazda Mazda 3 comes from the 2.0-liter four cylinder engine, able to get 155 horsepower or the 2.5-liter for an extra boost, rated at 184 horsepower. Either engine can be powered by a six-speed manual or six-speed automatic transmission. Fuel efficient, rated at 26/35 mpg, the Mazda Mazda 3 has some serious get up and go. 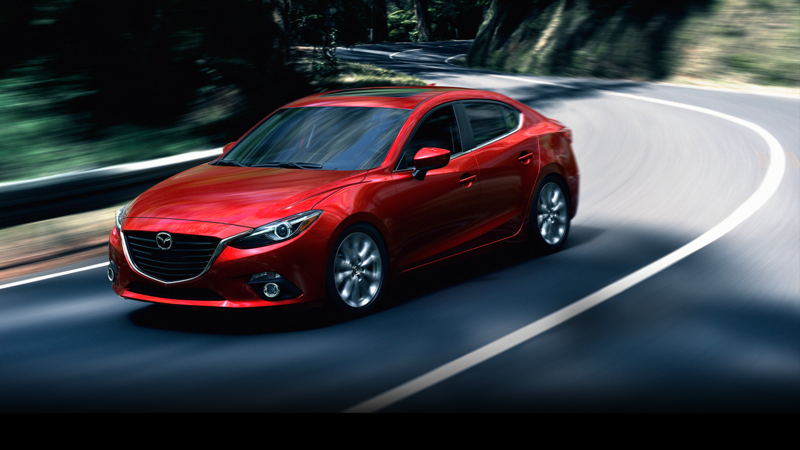 One of the quickest compacts on the road, the Mazda Mazda 3 zips from zero to sixty in 7.3 seconds. 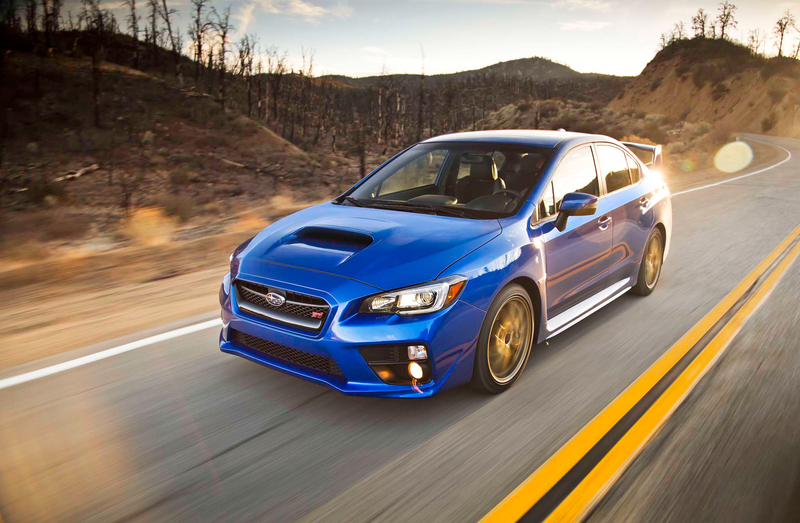 Serious speed from Subaru's WRX STI comes from the 2.5-liter turbo-four cylinder engine, generating 305 horsepower with maximum speeds clocked at 159 miles per hour and zero to sixty measured at 4.8 seconds. Given the power and speed of the WRX STI, fuel economy is not as competitive compared to the rest of the compact class, estimated at 17/23 mpg. At $35,490, the Subaru WRX STI is pricier than other compacts, but worth it if you're in need of speed. Right on the heels of the Mazda Mazda 3, Volkswagen's Golf sits in the second spot, and is all new for 2015, and marks the return of the three-door hatchback. Engine options are offered by the 1.8-liter turbo four cylinder or 2.0-liter turbo diesel, producing 170 horsepower and maxing out at 123 mph top speed. Similarly priced as the Ford Focus, the Volkswagen Golf starts at $18,815 but increases if you opt for the special edition Launch or Golf. You'll pay a bit more for Volkswagen's award-winning GTI, the pacesetter for the sport compact class. This hot hatchback is available with either three or five doors, and comes standard equipped by the 2.0-liter direct injection turbo four cylinder, producing 210 horsepower, which can jump to 220 horsepower if you spring for the Performance package, which also offers bigger brakes and limited slip differential. The GTI costs $25,605 and has an estimated fuel economy of 25/34 miles per gallon. Of these three Volkswagens from the small car segment, the Jetta is the most economical, starting just over $17,000. Improved for the 2015 model year, the Jetta has three engines, the base 2.0-liter, the turbocharged 1.8-liter, which gets 170 horsepower or the turbo diesel engine that drops to 150 horsepower with class-leading fuel efficiency at 46 mpg, while the turbocharged gets an EPA estimated 26/36 mpg. Transmissions are offered in the enthusiast-loved six-speed manual and easy-to-drive six-speed automatic. For consumers concerned with their carbon footprint, the Volkswagen Jetta is also available as a hybrid model. Though there are certainly many other new small car options available to buy online, these ten are worth your time.